Turn key restaurant/bar formerly known as Phil's Seafood. 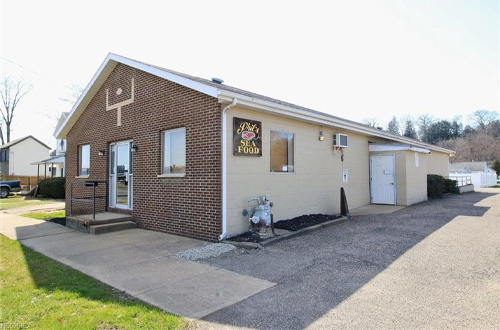 Excellent location to start your new business with private paved parking. Adequate seating area and nice bar. Kitchen area includes all of the equipment, furnishings, walk in freezer, cooler, gas 6 burner stove, warmer system, dishwasher and much, much more! Huge walk in freezer/cooler area. Private office and dry storage room. Sale can include a D1, D2, and D3 liquor license, subject to the transfer and sale through the Ohio Division of Liquor Control and may be subject to a management agreement through the owner until the license transfer is approved. Bank owned property is being sold in "as is" condition. Our listed price is $239,900. For more information, you may contact Bill Durant, VP/Collection Officer, via email at [email protected] or by calling our Collection Department at (740) 450-3605.